I love a good ol' bit of Body Shop skin care loving and fragrance, but this probably wouldn't make it onto my favourite everyday wears. 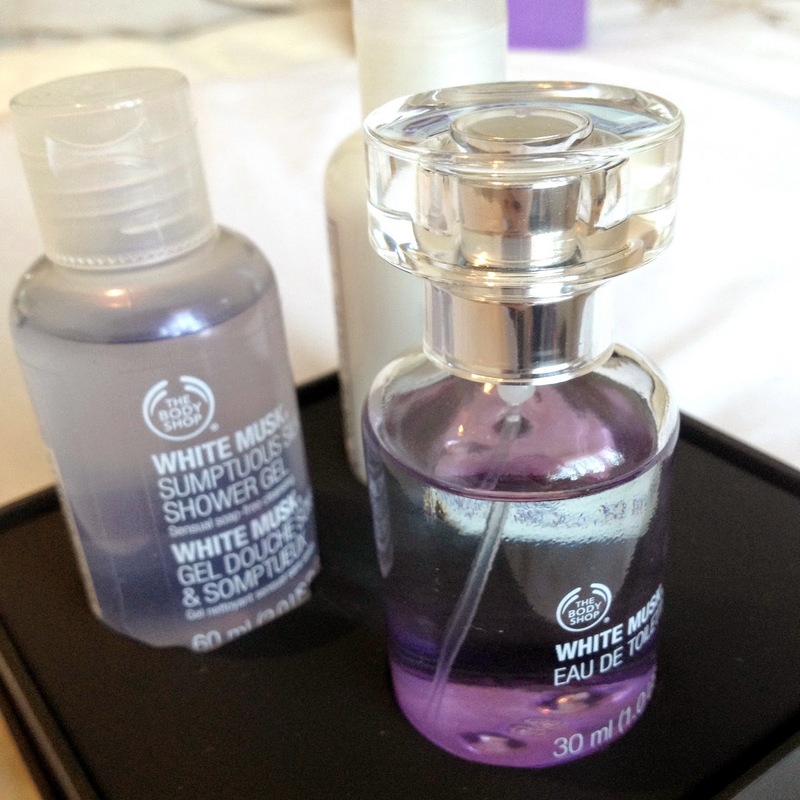 The white musk perfume in this little gift set is one of The Body Shop's signature scents, but I would suggest that it is better for an evening out as it is quite a heavy one. My boyfriend, knowing that I love The Body Shop, tried his best to remember what I liked, but kind of got half way there (hey, we all know we need to tell our other halves exactly what we want - I'm a nightmare at buying him stuff too!). The shower gel and body lotion have been great if only for their size. These cute little bottles fit perfectly into my gym bag so that I don't have to lug round full size ones with me. Plus, the scent is very potently girly, and after heading to an intense gym session it's always great to be reminded that you can actually smell nice again! Total fan of the little sizes, too! They're so useful for popping in your bag!